Consumers International, la mayor federación de Asociaciones de Consumidores del mundo, lanza su “Informe anual sobre propiedad intelectual” en respuesta a la Cumbre de ministros de Telecomunicaciones de la UE. Consumers International ha querido lanzar su anual Informe de Vigilancia sobre Propiedad Intelectual hoy, día de la reunión Informal de ministros de Telecomunicaciones de la UE, como advertencia porque, como dicen textualmente, “en la mayoría de los países, las normas que regulan el acceso a la cultura y aprendizaje de nuestra sociedad colocan a la gran empresa primero y a los consumidores después”. FACUA, organización miembro de Consumers International y eXgae ( ahora Xnet ), organización con la que Consumers International colabora en el marco del FcForum, se han encargado de presentar el Informe en una rueda de prensa dentro del marco de las acciones que Red SOStenible está llevando a cabo en defensa de los derechos en entorno digital. 1 – ¿Porqué es peligrosa para los derechos de los ciudadanos la estrategia que se debate en la cumbre de ministros de Telecomunicaciones? 2 – ¿Cuáles son los resultados del Informe de Consumers International? 3 – Soluciones: ¿Cómo habrá que decirlo? Esto no es ciencia ficción, tal y como ha recordado hace un mes Eduard Punset en la anterior cumbre de ministros, la cumbre de ministros de cultura (véase el vídeo). Entrando en la materia de lo que los ministros de Telecomunicaciones están debatiendo hoy mismo en la Cumbre, a falta de un documento oficial que el ministerio no ha querido entregar ni a la prensa ni a los ciudadanos, nos referiremos a numerosas fuentes indicadas a pie de este artículo. Vemos con inquietud la tendencia a privatizar completamente el espectro radio-eléctrico liberado por la migración a la Televisión Digital Terrestre. Este recurso limitado debe ser preservado para un desarrollo de su potencial al servicio los ciudadanos y del desarrollo de la sociedad. Por último, todos los documentos tratan de forma extensa de la producción de contenidos, si bien reconocen que los usuarios finales son actualmente grandes productores de contenido, sólo se les menciona para indicar cómo la industria debería tener instrumentos para captar y privatizar esta producción “civil” (veáse pág. 23 a 26 del doc del 24 de febrero). Recordamos a este propósito cómo el ministerio de cultura ha invertido 1/3 (¡1/3 !) de sus fondos en Industrias Culturales. Aunque en algún párrafo de los documentos ministeriales se mencionan los derechos de los ciudadanos, casi siempre se hace referencia al derecho a la privacidad, a menudo olvidándose de derechos igualmente importantes como el derecho a la información y al acceso al conocimiento. A este propósito pasamos a detallar el contenido del Informe de Comsumers International. 2 – ¿Cuáles son los resultados del Infome de Consumers International? 1 – la política estadounidense en materia de copyright mantiene una doble moral: el rigor que exigen a sus “aliados” no es el mismo que practican en su propio país, ya que la aplicación del “fair use”, vigente en su legislación, permite muchas más excepciones al “copyright” de las que permiten la mayoría de legislaciones europeas (pag.6). 2 – En temas de copyright, España posee una buena puntuación cuanto al equilibro entre intereses de los ciudadanos y de la industrias. Es crucial que mejoremos y defendamos lo que tenemos sin permitir los retrocesos que piden los lobbies de las multinacionales. 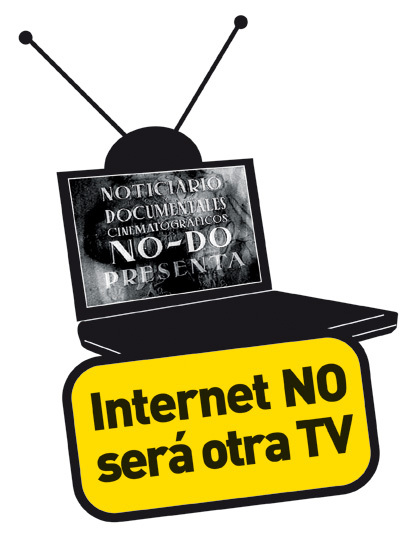 Los ciudadanos y ciudadanas nos oponemos a cualquier ataque a la neutralidad de Internet en favor, una vez más, de unos pocos actores privados. Ofrecemos propuestas viables y respetuosas de los derechos civiles en la Carta para la Innovación, la Creatividad y el Acceso al Conocimiento. Los derechos económicos y civiles de cada ciudadano y ciudadana, especialmente el de libertad de expresión, información y comunicación se ejercen hoy a través de las redes de telecomunicaciones. Son los gobiernos los encargados y responsables de garantizarlos, independientemente de si esto incrementa el negocio de unas empresas o de otras o de si esto implica crear redes públicas. No ejercer esta responsabilidad hipotecará nuestro futuro y el de las próximas generaciones. Pásalo y pónlo en tu sitio web. 2 – Aquí un vídeo que explica la Neutralidad de la Red. This is because, as it’s said in the report “in most countries, the rules governing access to culture and learning in our society put multinationals’s interests first and consumers after”. eXgae ( now Xnet ) and FACUA together with Red SOStenible have presented to the press the IPwatchlist 2010 in Seville while the Ministerial Summit was happening. 1 – Why is it dangerous for the civil rights the strategy that have been designed for the summit of Ministers of Telecommunications? 2 – What are the results of the IPwatch list 2010? For a sustainable and democratic development of the information society it shouldn’t be any discrimination, no “different speed” according to applications or services that are used. The price that each one can afford to pay shouldn’t be a criteria at all. The economic and political “powers that be” have never been interested in the existence of an active citizenry. They need to reach the control of Internet. With the pretext of offering users a “customized Internet,” they are actually trying to impose legislation that cuts back the Internet and turns into another version of TV, in which we are passive users and third parties decide the content we can and cannot access. Entering the field of what the ministers are discussing today at the Summit, due to the absence of an official document that the spanish ministry has refused to present both to the press or citizens, we will refer to many previous ministerial sources listed at the bottom of this article. The telcoms want to demand that service providers pay them for the use of their networks. Who are these service providers? The only difference is that while Google can pay Telefónica, we ordinary individuals can’t, so we will quickly be wiped off the face of the Internet. Which is what happened with television, where only multinationals can operate and advertise. How do they want to make us jump through the hoop? To get us through the hoop, they are presenting the “European Charter of Rights for Users of Electronic Communications Services.” This is a smoke screen which uses the pretext of a “customized Internet,” to try and pull one over on us, offering free minimum bandwidth (what a lovely word, “free” :), so that we can buy all the other “services” (see and be seen) according to our “interests,” just like cable TV. Nowhere in the documents we can see a firm stance in defense of Net Neutrality, quite the opposite. In the document of February 24 (pag12-13), it’s said that only a “minimal” service should be guaranteed and that the law of “competition” will create the right balance. .The documents call for the privatization of the electro-magnetic spectrum, vacant after the migration to digital terrestrial television. This limited public resource must be preserved for a development of its potential to serve citizens and society development..
All the documents deal extensively with the production of content and, while acknowledging that end users are now major producers of content, the end users are mentioned only to indicate how the industry should have tools to capture and privatize this “social” production (see pag. 23 to 26, doc of February 24). Although in some paragraph of the ministerial documents the civil rights are mentioned, almost always they refer to the right to privacy, often forgetting equally important rights such as the right to information and access to knowledge. On this purpose we will now see the details of the Ipatchlist 2010. 1 – US policy has double standards in copyright issues: in their own territory, they themselves do not apply the rigour that they demand of their “allies”, given that the provision for “fair use” in US legislation allows many more exceptions to copyright than those allowed for in many European legislations. (pag.6). 2 – Some countries, like Spain, has a good score in the balance between interests of citizens and interest of the industries. It is crucial that we improve and defend what we have without allowing setbacks asked by multinational lobbyies. As citizens, we oppose any attack on Internet neutrality in favour of a few private parties – again. In the Charter for Innovation, Creativity and Access to Knowledge (Reference:, we set out viable alternative proposals that are respectful of civil rights. Today, the economic and civil rights of each individual, especially the right to freedom of expression, information and communication, are exercised through telecommunications networks. It is the role and responsibility of Governments to guarantee these rights, whether or not it increases the business of some companies, or entails setting up public networks. If they do not excercise this responsibility, they jeopardize our future and that of coming generations. Television is a medium that essentially appeals to the emotions. Users watch the screen passively, without making any kind of cognitive effort. Therefore, the objective of television programs or advertising is to emotionally capture the attention of viewers. A look at the content of the most successful television programs and advertising clearly shows the importance of making an impact and drawing attention at all costs (reality shows like “Big Brother” are obvious examples). The Internet, on the other hand, is a cognitive médium that requires users to make the effort to process information and make decisions. Internet users always have an objective, they are looking for something, not simply the passive entertainment of television. While Internet users sometimes surf the web as entertainment, after a few seconds they define some specific objective. “While television enters your home imposing ideas and philosophies (there is no variety, you can’t choose), with the Internet you enter, seeking the knowledge you want and rejecting what you don’t want (there is variety, so there is the opportunity to choose)”.